To most prospects you're just another service provider. Many referrals, such as from an insurance company or phone or web directory, aren't effective. They refer hundreds of your competitors as well! Every month 2.2 million people search for chiropractors on Google. Would you like some of those leads? There are one trillion web pages. Google returns over 46 million chiropractor search listings. ' How will people find you? Revenue Typhoon's Breakthrough Traffic uses powerful search engine optimization to put you at the top of Google and other search engine rankings. 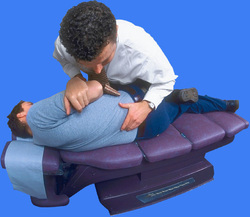 "Text or call (123) 456-7890 for your free Chiropractor Awareness Guide - Avoid Ripoffs, Misconceptions, and Mistakes"